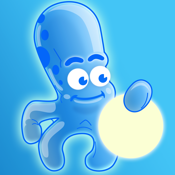 The most complete version of Octopus Paul in the Appstore, in memoriam, now for FREE! Do you really want to know about the future? Which team is going to win the match? Who you have to invite over tonight? What friend of yours is in love with you? Or just ask anything you can think of! Your favorite Oracle comes to your iPhone... again!